Ashraf Marwan was a visionary and that forced him to become a spy. As early as the late 1960s, he realized Egypt and the rest of the Arab world had aligned themselves with the wrong super-power. The Soviet Union’s socialist economy would inevitably collapse, leaving Israel’s increasingly close ally America standing tall. He was more right than wrong. 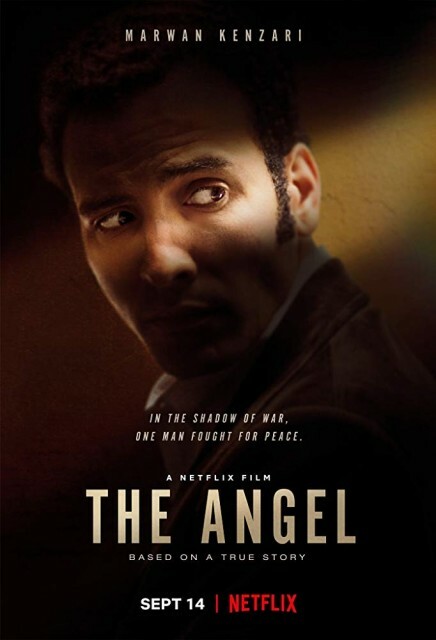 To avoid long-term disaster, Marwan became a one of the most highly placed intelligence sources in the Mossad’s history—or at least that is how history is interpreted in Ariel Vromen’s The Angel (trailer here), which premieres on Netflix this Friday. Marwan was Nasser’s not-particularly-beloved son-in-law, but Sadat thought more highly of him (he also appreciated the close alliance between himself and his late predecessor’s family). As a result, Marwan served as his envoy to nearly every Arab leader requiring a little special handling (especially Gaddafi) and was privy to all of Sadat’s war plans. HowMost of those plans would cross the desk of Mossad chief Zvi Zamir, thanks to Marwan. However, it was still difficult building trust between him and his Mossad handler, Danny Ben Aroya—not without reason—on both sides. So, can you guess which historical figure has now been portrayed by Robert Loggia, Louis Gossett Jr., and Sasson Gabai (currently on Broadway in the role he created in the original film version of The Band’s Visit)? That’s right, Anwar Sadat. In fact, the best part of The Angel is all the intrigue going on in Cairo, featuring the crafty but maybe more-progressive-than-he-lets-on Sadat and Sami Sharaf, Marwan’s seriously sinister former boss during the Nasser regime. On the other hand, all the do-we-trust-him-or-not, what’s-with-you-guys-anyway back-and-forth between Marwan and the Mossad gets a little tiresome. Seriously, you would think Zamir would give a lot of rope to a source this highly placed. Still, the film does a nice job of squaring Marwan’s actions with his patriotic loyalty to Egypt. You would almost think screenwriter David Arata was trying to protect his subject, but the real-life Marwan died in 2007—under mysterious circumstances. Dutch actor Marwan Kenzari carries the film quite well as Ashraf Marwan, even brooding charismatically. As usual, Gabai is a sly, intriguing presence as Sadat, while Slimane Dazi is so Mephistophelean as Sharaf, he practically makes viewers smell sulfur. Although Toby Kebbell is sufficiently earnest as Ben Aroya, none of the Israeli figures are as sharply drawn as their Egyptian counterparts. The Israeli-born, LA-based Vromen keeps the clockwork tightly wound and does a nice job of conveying the tenor of the era. It is a nicely crafted period espionage drama, but it is not the definitive portrait of the Mossad’s heroic service we are all still waiting for. Recommended as an interesting take on a remarkable true story, The Angel starts streaming on Netflix this Friday (9/14).